Will Vonage's New Free Calling Mobile App Put an End to "Minutes" Once and for All? For Your Info: Just wanted to let you know that the two posts about this application were sponsored by Vonage. With that said, I will still be giving you my true and honest opinion about this application, expressing what I find, in as unbiased a manner, as I possibly can. A recurring question always comes to mind every time I glance at my phone bill, "Why am I still paying for minutes on top of my unlimited data plan?" Though I supposedly have unlimited data, according to my wireless provider, "unlimited" does not appear to include the data I use when making phone calls. Well I say enough of that! 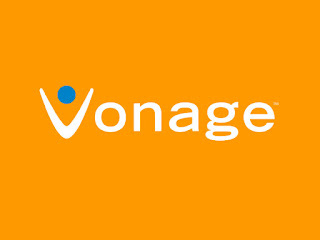 Vonage has recently released a Mobile Application for iPhone and Android that uses the data connection on your phone to free worldwide talk and text all other users of the app. Using your phone's 4G, 3G, or Wi-Fi connection, this application will allow you to make phone calls that circumvent the whole "minutes" idea completely. Just be sure to remember that the calls still use your data plan, which is something to think about if you have a cap. Even though they were not the first to implement this idea of data calling or "voice-over IP" (for all you nerds out there), Vonage's Mobile App is said to boast several improvements in user experience over it's competitors. These differences, as well as my complete opinion of the application as a whole, will be included in a review exactly one week from today. Between that time and now, I am going to be testing this new application by exclusively making phone calls with it throughout my daily life. I really feel like the only way to truly give my honest opinion about this app is to just jump head first into it and see how I feel about it when I come out the other side. I'm really anxious to get started using this app! I want to see if it really could be that shining light at the end of the tunnel we've all been waiting for in the mobile data calling services; that one app to finally take data calling to the next level and make cutting off your "minutes" plan look like a viable option. Time can only tell, so make sure to check back in a week to see the results. P.S. - You can follow my review in real-time on Twitter! **UPDATE** - Full App Review Is Here!! !